This has been an everlasting tale. Champions aren't made in a day and aren't written off that fast either. We've been bearing witness to this very fact for over the course of more than a decade. 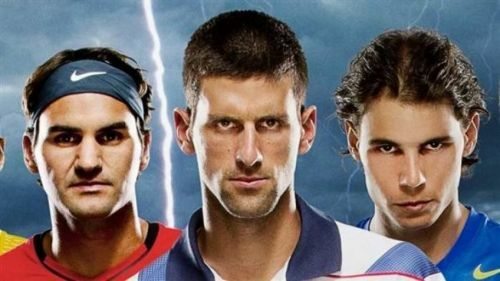 The magical trio of Federer, Nadal and Djokovic has been relentless in their pursuit of tennis glory and fame. After his US Open win, Novak joins the other two members of the Big Three at the top of the pile for the first time since April 2015. With Roger re-inventing himself year after year, Nadal reincarnating himself at every French Open and Djokovic returning back from injury to win Wimbledon and US Open, these three still rule the roost. Probably this trio is the best ever set of players to compete together for an extended period of time. Roger and Novak both own the grass and Rafa owns the clay. All three of them stand on equal footing when to comes to hard court tennis, although some tennis pundits might argue that Novak has the slightest edge over his rivals on hard courts. These men have won 51 grand slams among them in a space of 15 years, which is actually 85% of the titles. The only other men to have won multiple grand slam titles during this period are Andy Murray (3) and Stan Wawrinka (3). The best characteristic about the trio is that each of them is unique in their persona and style of play. Let's try to analyze special traits for all of them. The closest to the term GOAT (Greatest of All Time) holding 20 grand slams, the name itself radiates class and confidence. With an old-school one-handed backhand technique, he waves the racquet like a magic wand. He has made us all smile and cry at the same time along with him. Towards the latter stage of his career, he has changed his game technique a bit. The backhand that used to fail him against his most ferocious opponents, is no longer as much of a weakness as before. He's started using a lighter racket but still enthrals the spectators and even his opponents with his mystique. His success and gameplay have inspired many to pick up the tennis racket.